If you’re always looking to fill up and fuel on ingredients that promote your health today and your future longevity then it’s worth being in the know on resistant starch. What is resistant starch? Essentially it’s a type of fermentable fibre that fuels the healthy bacteria in our gut. Also known as a prebiotic. You could call it food for the bacteria that live in our large intestine. Resistant starch can be used as food by our microbiome because it passes through the small intestine undigested making its way safely to the large intestine. And this resistance to digestion means resistant starches, unlike other starches, don’t release glucose (triggering an insulin response). Sounds good? It is, and the benefits don’t end there. Promotes gut health because it’s a prebiotic that feeds your microbiome. Can aid weight loss as resistant starch promotes a feeling of fullness or satiety. Increases absorption and capacity of antioxidants and minerals. Promotes colon health and hence protects against colon cancer. Helps regulate blood sugar to prevent and treat diabetes. Lowers cholesterol and triglyceride levels, reduces diarrhea and more…. Check out this fantastic 4 minute jargon free video from The Hungry Microbiome that explains just how powerful resistant starch is. And here’s a fantastic article that covers the power of resistant starch. One of the richest sources of resistant starch comes from green bananas. Although not tasty or sweet like ripe bananas they’re great in smoothies and home made ice cream. If green bananas themselves don’t sound appetising consider that banana flour comes from green bananas. It’s a gluten free, baking friendly, benefit packed alternative to other conventional flour substitutes like coconut flour. I first heard about banana flour in a news story about a small Australian company. They’re called Natural Evolution. It’s a company owned by banana farmers, Rob and his wife Krista, who previously had to dispose of tonnes of their special Lady Finger bananas because they didn’t meet supermarket guidelines for size and shape etc. So in 2010 they started experimenting with banana flour – and today they’re leading the way in banana flour innovation. With the news story top of mind I contacted them keen to know more and they kindly sent me some flour to experiment with. 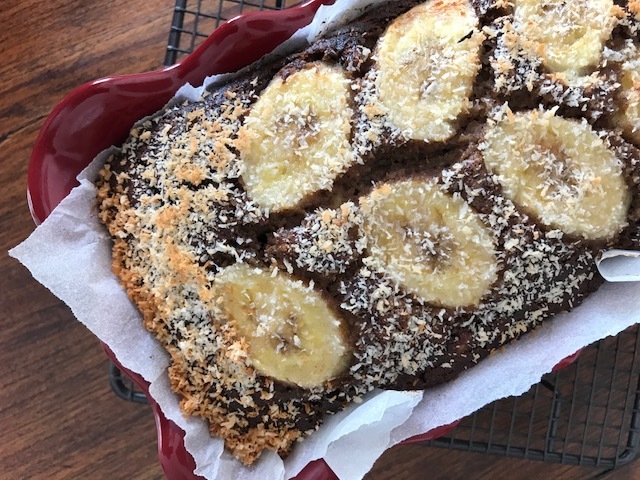 Before the banana flour had even arrived I’d decided to use it for banana bread – attracted by the prospect of healthy banana bread that would be gluten free and close to 90% bananas. The moist texture, sweetness and flavour would come from super ripe bananas and the gut health and digestive and other benefits from banana flour. 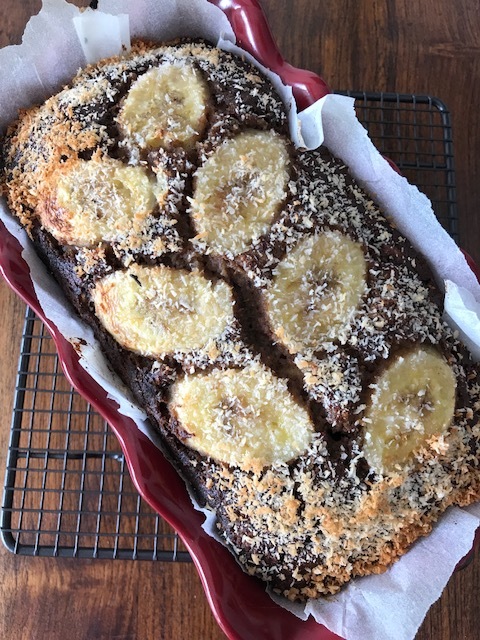 The good news is banana flour is a winner and I can’t imagine banana bread getting any more saintly than this…. I followed a lovely recipe from Natural Evolution – simply called Natural Evolution Banana Bread. Note that I made some slight adjustments to their recipe. For example I didn’t add coconut sugar or dates, but replaced them with 1/4 cup desiccated coconut. Although not vegan the recipe could be easily adapted to be for example using an egg and milk substitute. The result? Well it was an outstanding success. I think the trick is using really ripe, almost black bananas. This is my new guilt free dessert treat served with a little natural yoghurt. Banana bread doesn’t get any better! If you’re keen to find out more about banana flour, see recipe ideas, order products and more check out Natural Evolution’s website here. Finally if you’re already all over resistant starch and have some resistant starch packed recipe ideas then I’d love to hear about them! Tags: banana, banana flour, bread, healthy, recipe. Bookmark the permalink. Hi Ronit – it’s definitely worth checking out – many health benefits and it’s also so versatile…it goes further than standard flour too so you only need 50% – 75% of the amount of conventional flour…. 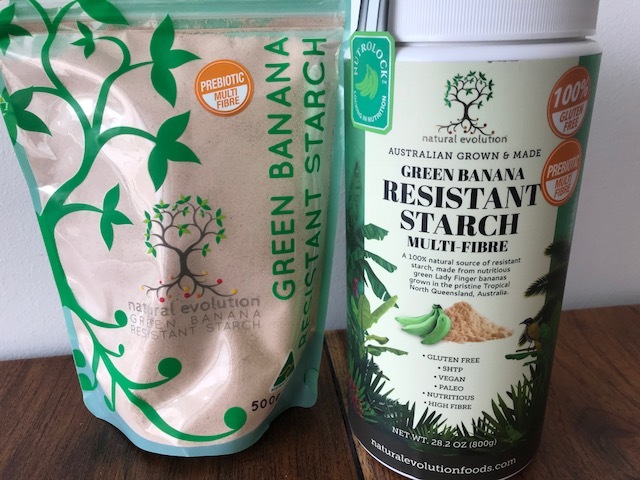 Never heard about resistant starch before, thanks for sharing ! Banana bread looks so gorgeous !! Thanks Megala and at least now you’re clued up on resistant starch. Other good sources are legumes, oats and even cooked and cooled potatoes…. Thanks Vero – I’m sure you’d be able to weave banana flour into your Mexican creations! I’ve wanted to try using banana flour. Adding this to my recipes to try. 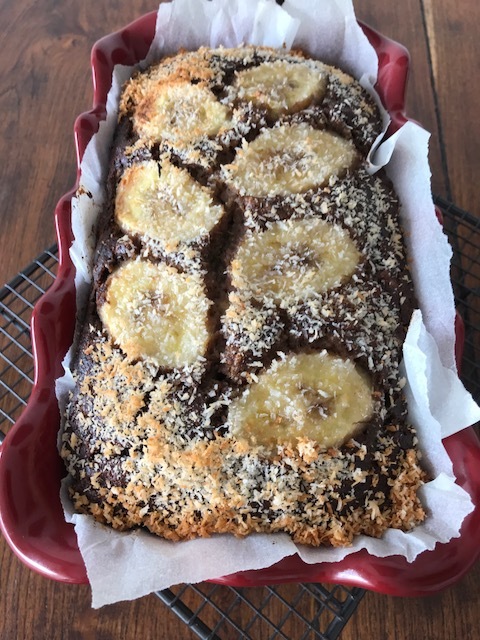 Yes banana flour is great – let me know how you go! Such an interesting post, thank you for sharing this new ingredient.